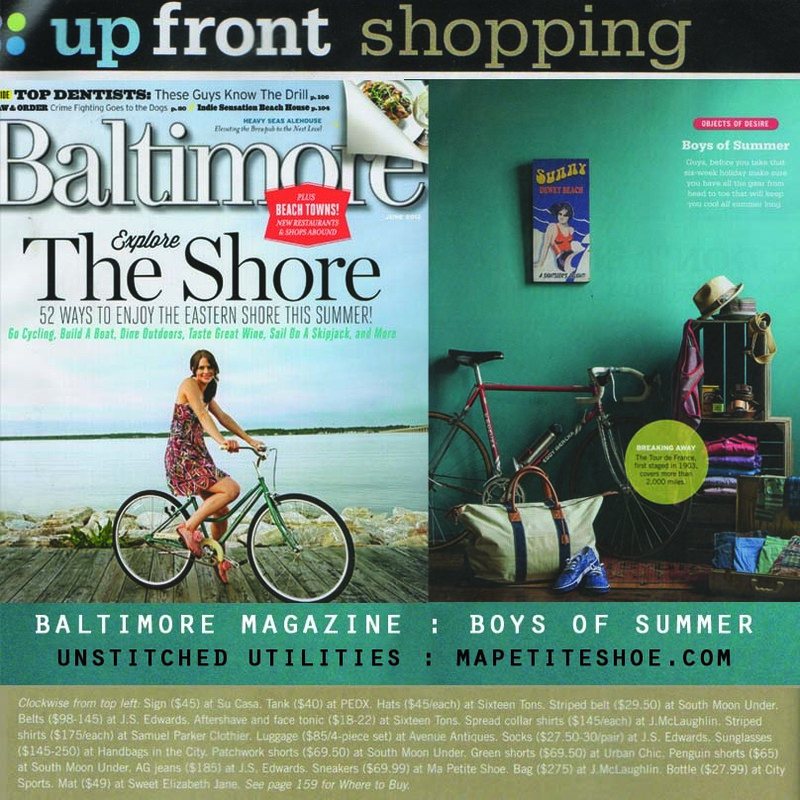 Check out Unstitched in Baltimore Magazine! 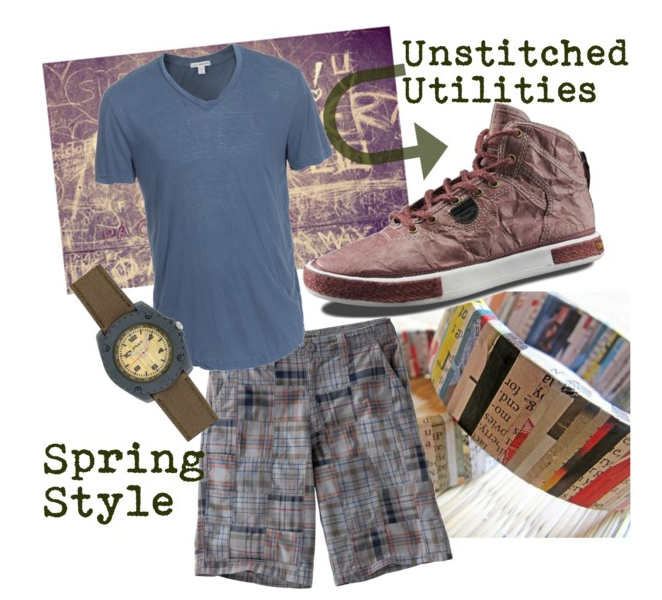 See how guys show off great style in our Artisans this Summer! 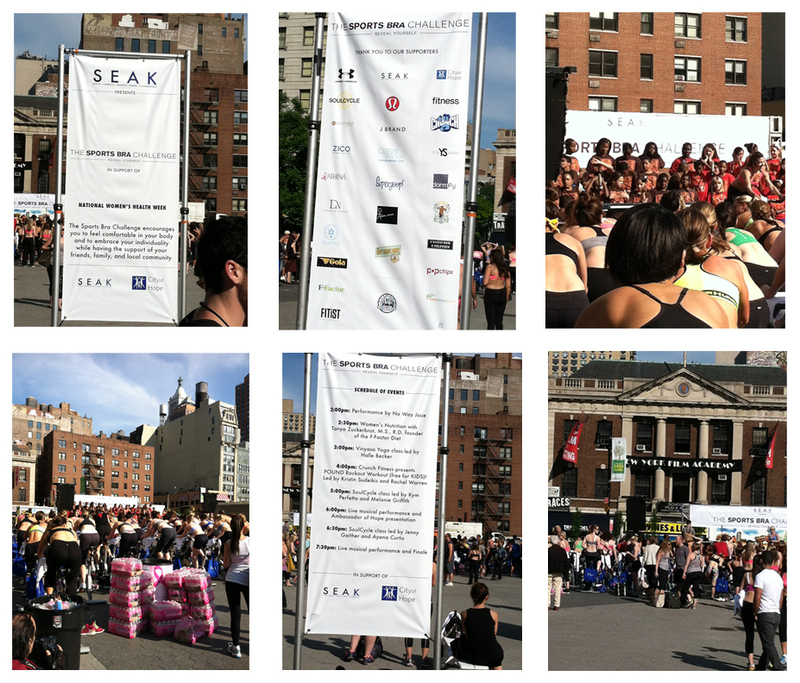 On May 17th, we attended this year's Sports Bra Challenge hosted by the S.E.A.K Foundation. What an awesome day! This event is held to encourage women to overcome insecurities about their bodies and to feel confident with the body they have. Yesterday, Union Square was packed with supporters participating in their sports bras, while working out and learning about nutrition. The proceeds given to the S.E.A.K Foundation not only go towards setting up after school programs for confidence building for young women, but also to the City of Hope's Positive Image Center. In this program, women undergoing treatments such as chemotherapy and radiation will learn to regain their confidence. Check out the photos and get involved! Spring Fashion in Baltimore, Maryland this year is the Great Gatsby trend. Check out Phillip rocking the Artisan in blue! 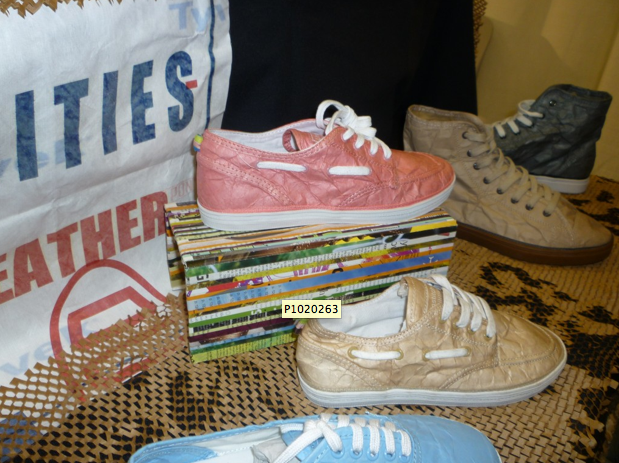 I came across the blog ‘The Fashionable and The Broke’ and found a great review of Unstitched. And to answer their question, no, they will not fall apart in the rain! :) Check it out here! Check out this review about Unstitched at SXSW in Austin a few weeks ago! 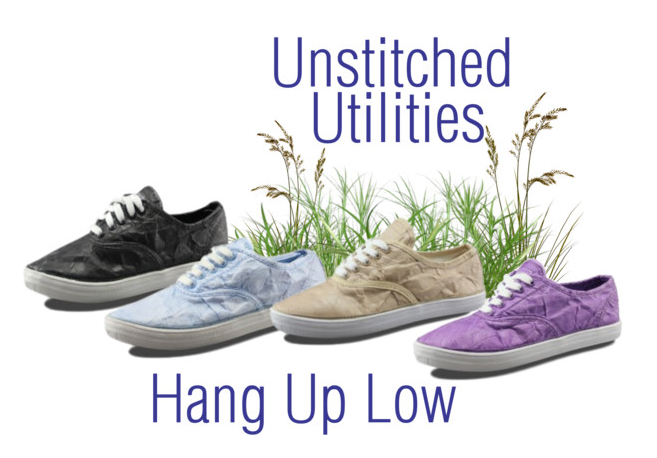 Check out the Hang Up Low for a casual, stylish shoe that comes in 4 different colors! 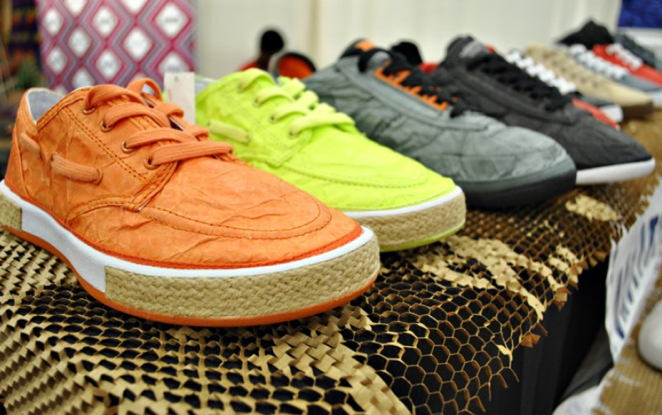 Add a pair of the orange Hang Up Slip On to your Spring wardrobe! 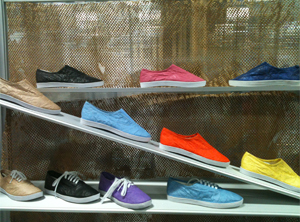 Looking for a way to wear your Unstitched shoes this Spring? Try this look! 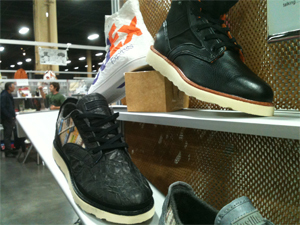 We had a great time at Project Las Vegas this year! 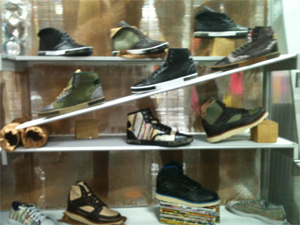 Here's some pics from our booth from Feb. 13-15! Can't wait to come back in August, enjoy! 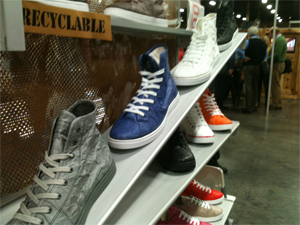 Gotta have this shoe? 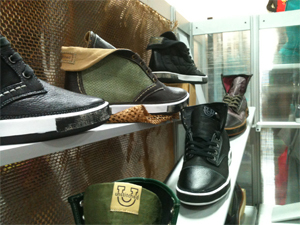 Check at the Last Chance Sale at Purecitizen.com to get great deals on your fav Unstitched shoes! Copyright © 2014 Unstitched Utilities, LLC. Web Solutions by Threefifty.